Bayern Munich sporting director Hasan Salihamidzic has reiterated the club’s desire to sign Callum Hudson-Odoi from Chelsea. The German champions have been chasing the 18-year-old Chelsea academy graduate for several weeks and have agreed to match the Blues’ valuation of the player. But Chelsea want to hold on to the youngster at least until the summer while they try to convince the player that he has a future at the club and tempt him to sign a new contract. However, Chelsea are aware that they could be forced into making a decision soon as Hudson-Odoi will enter the final year of his contract at the end of the season. Chelsea have also been left annoyed by Bayern Munich making their interest in Hudson-Odoi public, but that hasn’t deterred sporting director Salihamidzic from insisting that they want to snare the youngster away from Stamford Bridge. “We want to sign the player”, the Bayern Munich dealmaker told German magazine Sport Bild. “I am fully convinced about his abilities. 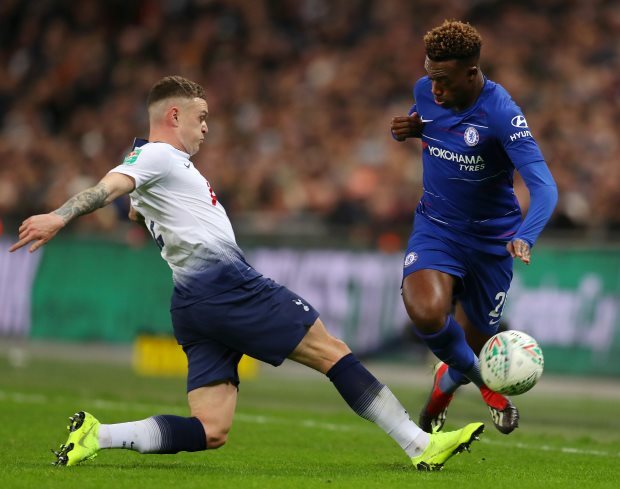 Hudson-Odoi started in the first leg of Chelsea’s EFL Cup semi-final against Tottenham last week but was back on the bench for their Premier League win over Newcastle United on Saturday.